Home Samsung Tech News TV Samsung Reveal 85-inch Bendable TV! Yesterday at CES(Consumer Electronics Show) 2014 in Las Vegas, Samsung has unveiled its Bendable UHDTV together with the U9000 and U8550 UHD (Ultra High Definition) Televisions. The Bendable UHDTV is 85-inch prototype TV which could transform its display panel from flat to curve and vice versa by pushing its button. 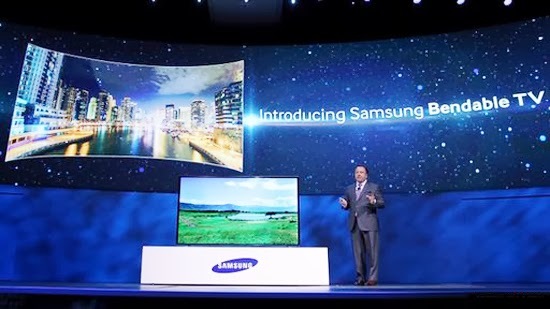 A 105-inch curved UHD TV is the centerpiece of Samsung in the CES, its the world largest curved UHD TV.